Kristin has shown that she is passionate in promoting a healthy, thriving, and impact-driven active membership. Since joining in 2013, Kristin has dedicated her time to helping mold our future Junior Leaguers and her time in the membership committee has proven just that. 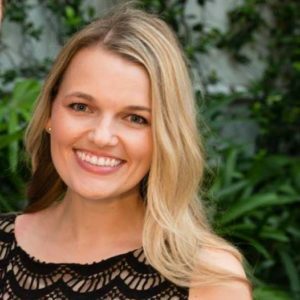 She serves on the Historic Preservation Board for the City of West Palm Beach, was a finalist for the Chamber of Commerce of Commerce’s Young Professional of the Year Award, and was featured in Palm Beach Illustrated. In addition, she is involved with numerous other organizations in Palm Beach County. Kristin Kellogg is a Registered Architect and Interior Designer who partners with her clients to improve health and wellness in our communities through the built environment. Whether working on high end residential or large scale commercial projects, she brings all parties together to create a sustainable, healthy and forward-thinking space. Kristin received her Bachelor of Science and Master of Architecture degrees from the Georgia Institute of Technology where she specialized in Historic Preservation, Urban Design and AEC Business.